Every year on March 8 the world celebrates the social, economic, cultural, and political achievements of women during International Women’s Day. 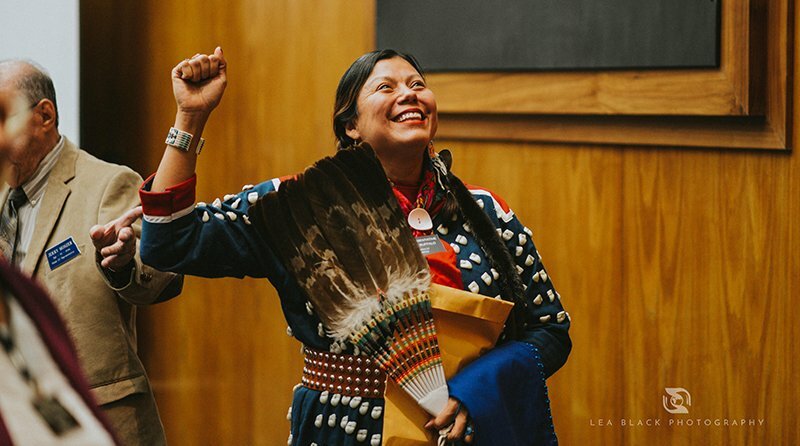 Join the Tiwahe Foundation, the Native Governance Center, and the Humphrey School of Public Affairs as we celebrate International Women’s Day 2019. The theme of this year’s celebration is: Indigenous Women Have Always Been Leaders. Indigenous women have always been the backbone and heartbeat of their families and communities. They channeled their history of leadership into victories at the state and federal level during the 2018 election, marking a major turning point for their political representation. Indigenous women are poised, now more than ever before, to use their strengths to shape the future of their communities and awaken the nation. Don’t miss this daylong celebration of indigenous women’s leadership featuring speakers, artists, and food. “Native women have been leading our communities since time immemorial.” – Peggy Flanagan, Lt Governor of Minnesota, the nation’s highest ranking Indigenous woman in executive office. Registration for this event is now full; sign up for the waitlist to receive a notification if a ticket becomes available. A livestream of the event will also be available.